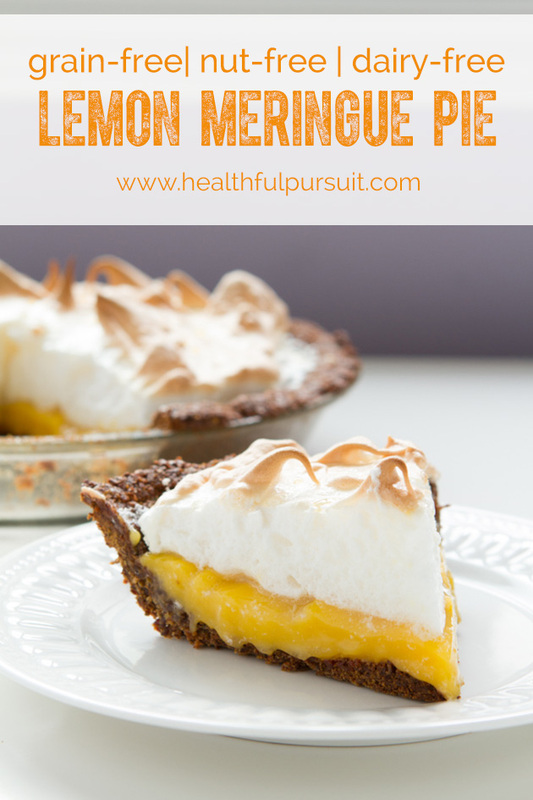 Healthier lemon meringue pie with a grain-free + nut-free crust, filled with a tart lemon curd filling and topped with billows of meringue. Oh my goodness, I haven’t had lemon meringue pie in over 10 years. It was torturous waiting for this pie to set. By the time it was ready, it was too late in the day to take photos so I had to wait until the morning of the following day. As soon as the sun shone in through my studio window, I was slicing pie! In April, I made this Lemon Cake from Ina Garten. 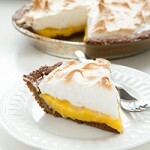 And for May, you voted for me to re-network Alton Brown’s Lemon Meringue Pie. To make the crust: Preheat oven to 225F and lightly oil a 9-inch pie pan with a dab of coconut oil. Set aside. 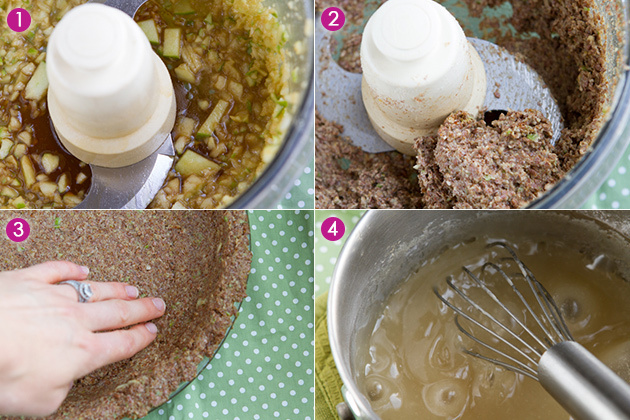 Add apple, oil, nectar and extract to the bowl of your food processor. Process until smooth. 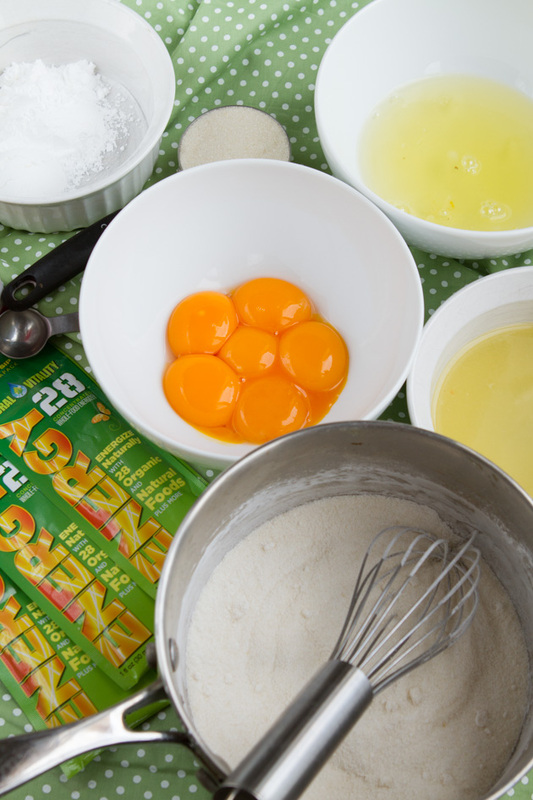 Add remaining ingredients and process until mixed through. Transfer mixture to the pan and mold into the pan, pressing up the edges. Bake for 1 hour and 45 minutes. When finished, remove from the oven and allow piecrust to cool complete. 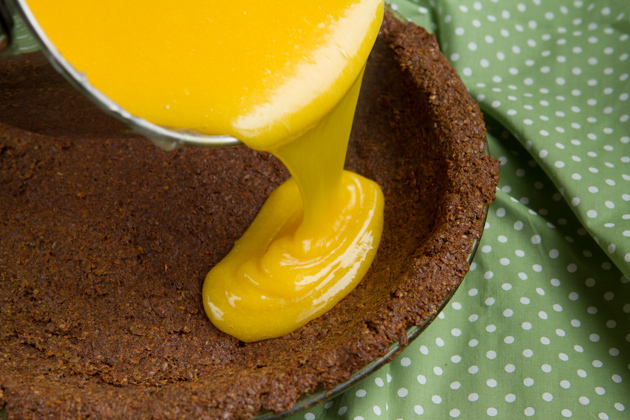 To make the lemon curd filling: Once piecrust has cooled, begin preparing lemon curd. Add the sugar and starch in a medium-sized saucepan. Whisk in water and Energy28. Bring to a boil over medium-high heat, whisking will it cooks until the mixture is glossy. Pour a cup of the hot mix in with the egg yolks and stir well. Transfer this mixture to the saucepan. Cook for 1 minute. Remove from heat, whisk in coconut oil. Then, pour into the cooled pie shell. Cover to keep hot while you prepare the meringue. 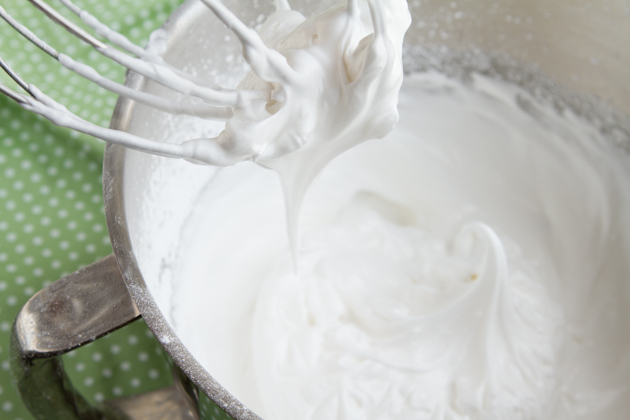 To prepare the meringue: add egg whites and cream of tartar to the bowl of your high-powered stand mixer. Whip on medium speed until foamy, then increase speed to high while you gradually add in the sugar and powdered sugar. Continue to whip until medium peaks form. 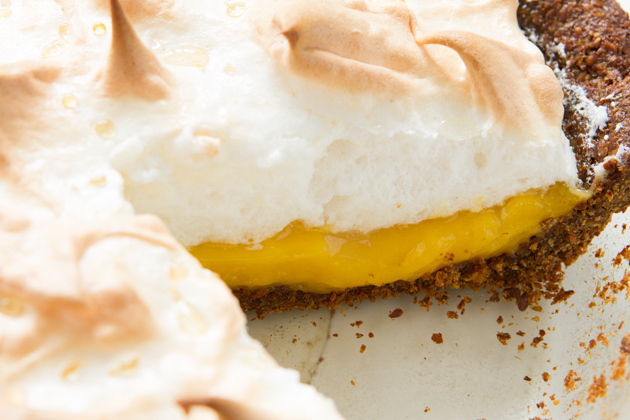 Remove the wrapping from the hot lemon filling, then dollop half of the meringue onto the top of the pie. Spread the meringue so that it completely covers the lemon filling and connects with the outside crust, then use a bamboo skewer or paring knife to swirl the meringue just a touch (this will secure it to the lemon curd). 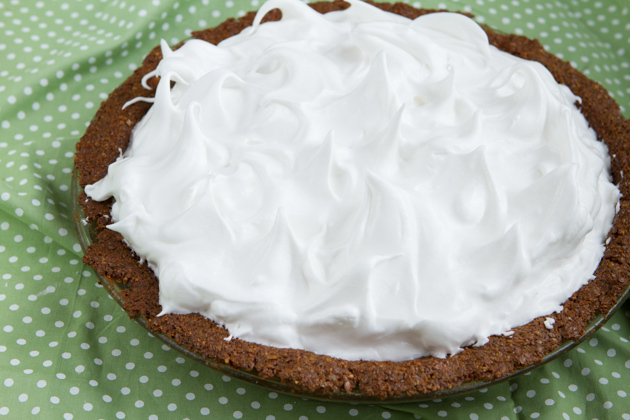 Dollop the remaining meringue onto the pie and use the back of your spatula to lift up the meringue to create peaks. Paleo - to make this recipe paleo, opt for using coconut sugar instead of cane sugar. The reason I used cane sugar for this recipe was to keep the lemon curd a bright yellow color. Using coconut sugar will affect the color of the curd, but not the taste. Energy28 - if you do not have Energy28, feel free to replace with equal amount of water. I used a very similar recipe to my Grain-free + Nut-free Apple Pie Crackers as the base for this grain-free lemon meringue pie. For the sugar, as I mention in the recipe, you could try to replace the cane sugar with an equal amount of coconut sugar. It will affect the color of the curd, but not the overall flavor. I am not too sure if xylitol would work. If you give it a try, share your experience in the comments for all to see! 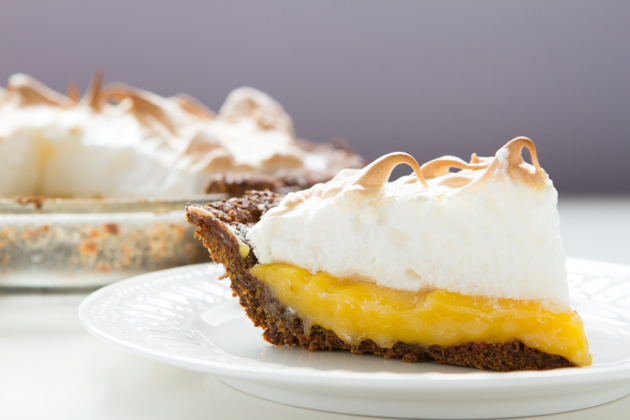 You will most definitely want to pour the lemon filling into a cooled crust. I cooled mine quickly by placing it in the freezer after it had cooled on the counter for 20 minutes or so. If you get impatient here, it could result in a soggy crust. The meringue should form peaks as you whip it. The best way to secure the meringue to the pie is to use a bamboo skewer to swirl the meringue into the curd. 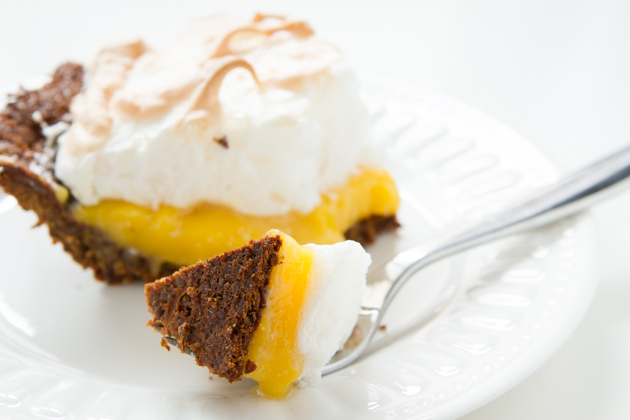 If you push the meringue lightly against the sides of the crust, this will help, too. It’s all about keeping the meringue ON the pie once you’re slicing it and serving it to your friends. The pie should be very easy to cut. Just like so. Which Food Network recipe would you like me to re-network in June? The cornbread was in last months’ lineup and lost against Lemon Meringue by just a couple of votes so I wanted to include it just once more!